Dubai: Joachim Loew finds himself in a very strange position this week as Germany look to turn the page on a terrible 2018 when his side open their Euro 2020 qualifying campaign against the Netherlands on Sunday. 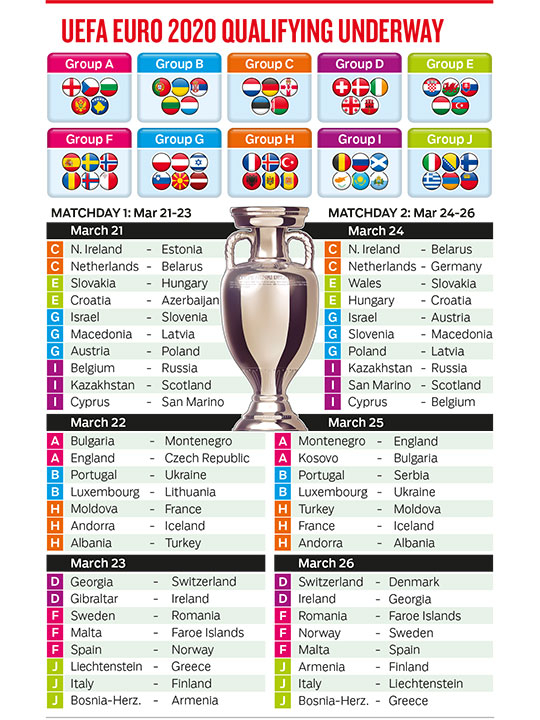 The 2014 World Cup winners went through a terrible time last year as they were unceremoniously dumped from defending their world title in Russia during the summer and were relegated from the top tier of the Uefa Nations League. They only won four games all year — one-goal victories over Saudi Arabia, Sweden and Peru and a 3-0 over Russia — along with three draws and six losses. The darkest moment was their 2-0 humiliation at the hands of South Korea that left them rooted to the bottom of Group F at the World Cup and heading for home before the knockout stages had even begun, sounding alarm bells that German football was in a rapid decline after reaching such a high in Brazil four years earlier. Most international coaches would be seeking employment after such an embarrassment, but Loew clung on and still he occupies the Germany hot seat despite further humblings in the Uefa Nations League at the hands of France and the Netherlands. 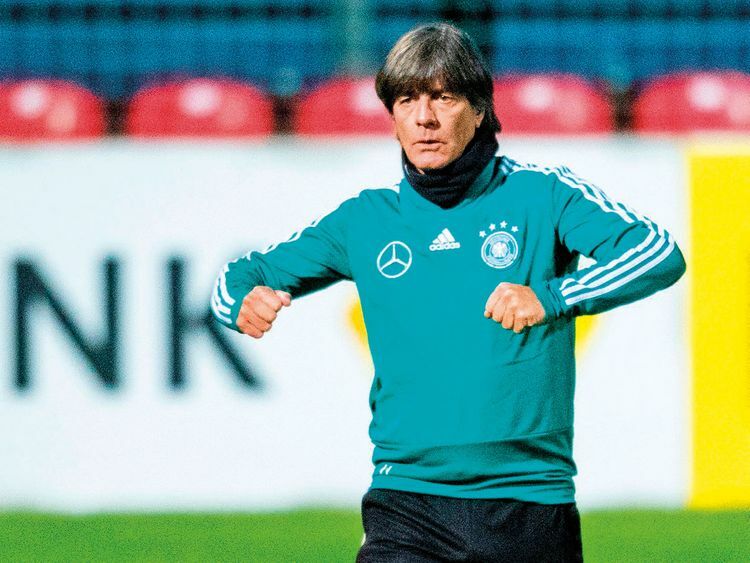 Loew says he is determined to see out the unenviable task in front of him and get Germany back to the top table of world football, and that begins with a friendly against Serbia on Wednesday, before the Euro qualifier against the Dutch on Sunday. Despite being the Group C opener, it looks like a must-win for Germany already. The 59-year-old Loew has taken a massive gamble ahead of this campaign as he has thrown his weight behind the next generation of players and — in the face of stiff criticism — dispensed with older, familiar and much-loved faces. Gone are veteran World Cup winners Mats Hummels, Jerome Boateng and Thomas Mueller from the national team set-up, and Loew has handed three youngsters their first international call-up. Hertha Berlin defender Niklas Stark, 23, Werder Bremen midfielder Maximilian Eggestein and RB Leipzig full-back Lukas Klostermann, both 22, join the squad, which now contains just two survivors from 2014 in Manuel Neuer and Toni Kroos. Wednesday’s friendly against Serbia would, normally, be an opportunity to blood these fresh faces ahead of tougher assignments, but the German media has already ramped up the pressure. Kicker magazine described his squad announcement as a “high-stakes game of poker”. But Loew is playing it as cool and calm as ever and insists the time is right for change. He has also called on men such as Niklas Suele, 23, Leon Goretzka and Joshua Kimmich, both 24, to lead the team. Loew’s predecessor Jurgen Klinsmann questioned the decision to drop the experienced trio of Hummels, Boateng and Muller. If he can’t halt the slide soon, Loew will definitely — finally — be vacating the Germany manager’s post, whether he wants to leave or not.